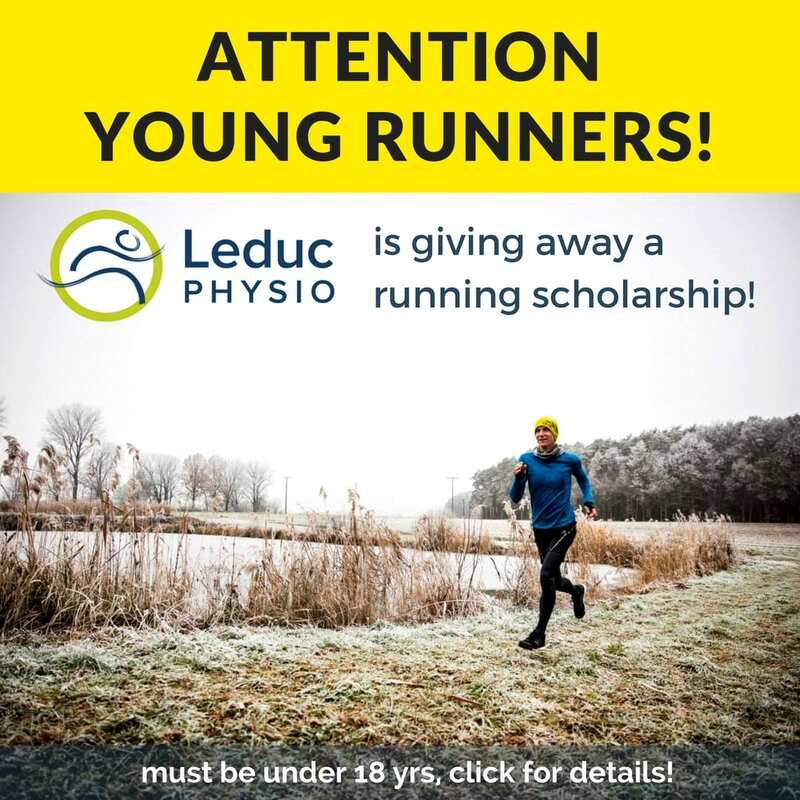 Leduc Physio is giving away a running scholarship! We would like to support a young runner in improving their performance by giving away a running assessment with our physiotherapist Jay Dyck. Applicants must be competing in local cross-country racing or track and field this upcoming season. Create a YouTube video introducing yourself, explaining why you deserve the running scholarship, and how it will benefit your performance racing this year.